In the past I had cooked meat for Michael and I enjoyed the challenge of making new dishes with different techniques. I no longer cook meat at all, but still like the challenge of trying new techniques 🙂 This was a fun way to make tofu that we both really enjoyed. 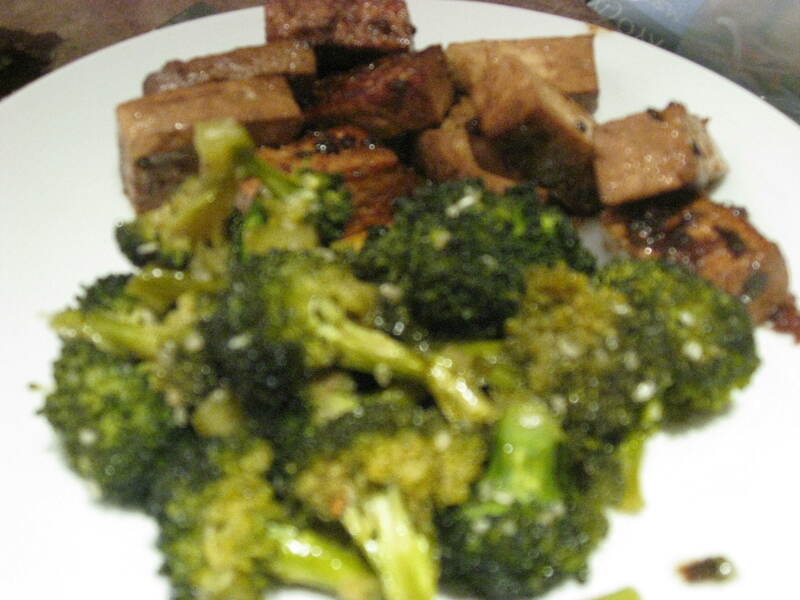 It was Super perfect with my Sweet Roasted Broccoli. Heat oil in a medium pot over medium heat. 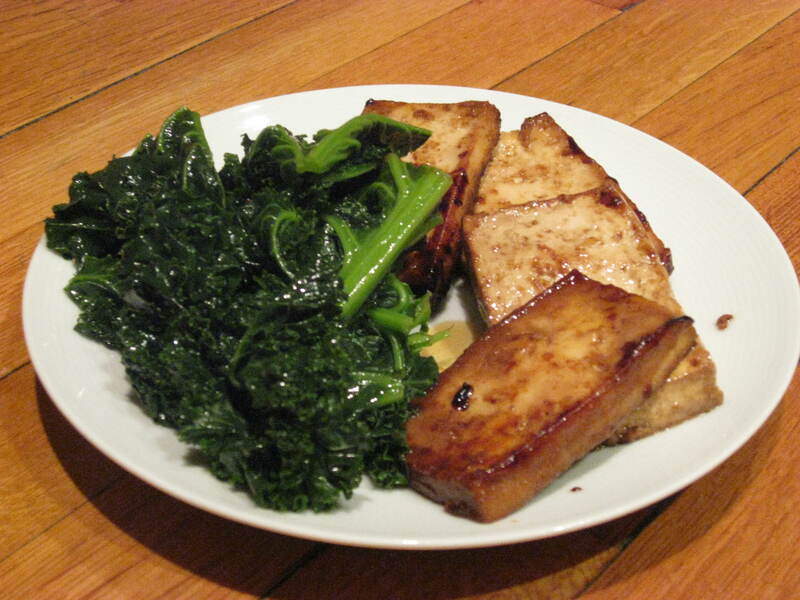 Add tofu slices and be careful not to overcrowd. Brown each side, 2-3 minutes per side. When golden, remove to a plate. Continue cooking all tofu until done. 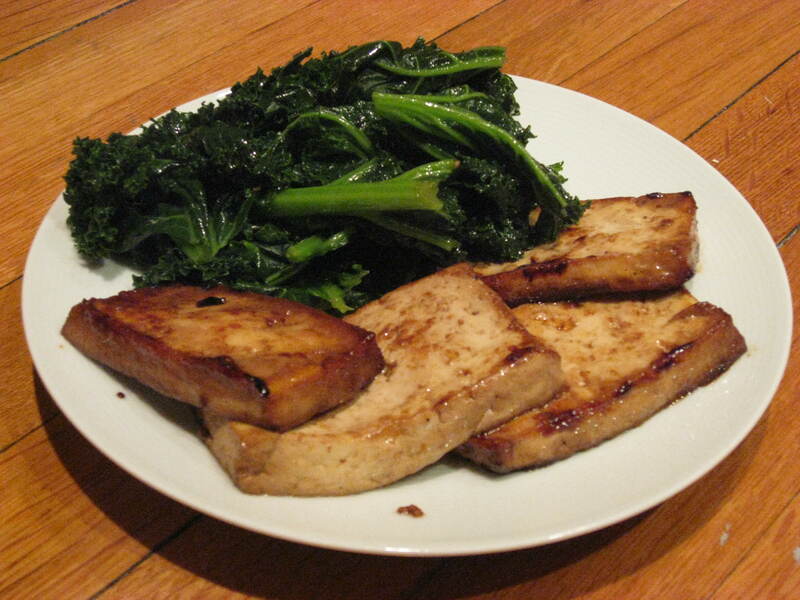 After the tofu is cooked and removed, add tamari, water, sesame oil, scallions, garlic and chili powder. 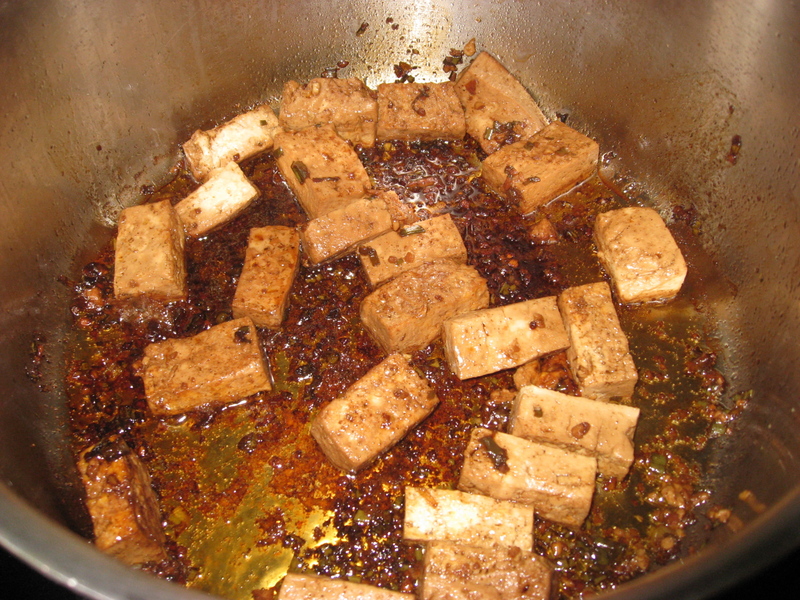 Stir and place tofu slices back into the pot. 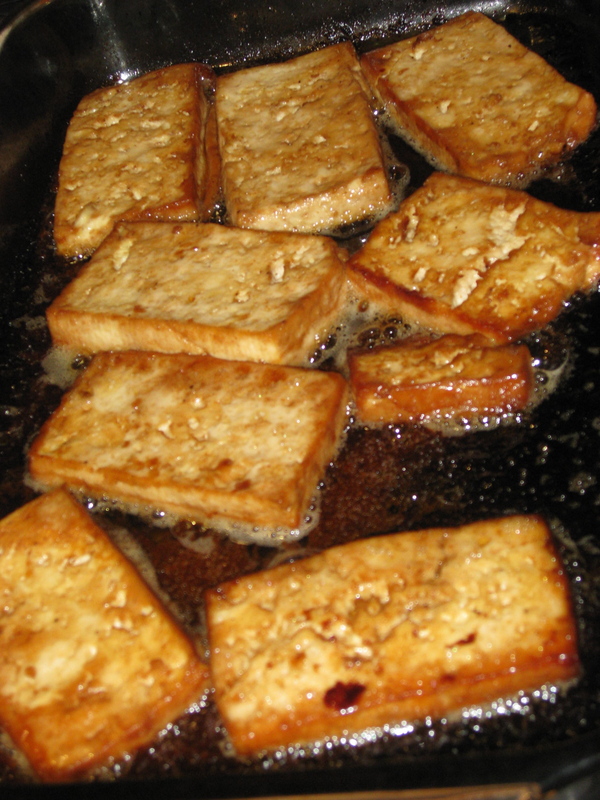 During the cooking process the liquid will eventually cover all of the tofu. Place the pot over medium heat. Cover. Cook for 15 minutes over medium heat. I love roasted veggies! 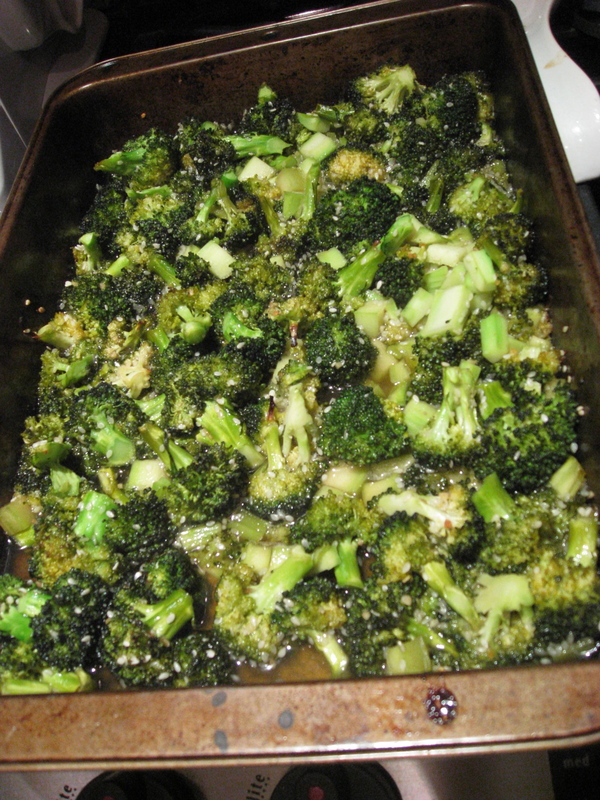 I decided to go more the sweet route with the broccoli tonight. The result was deelish crispy and sweet! Roasted veggies are super easy. Prep the veggies, toss with some seasonings, pop in the oven and prepare the rest of dinner while they are roasting away. Perfect! 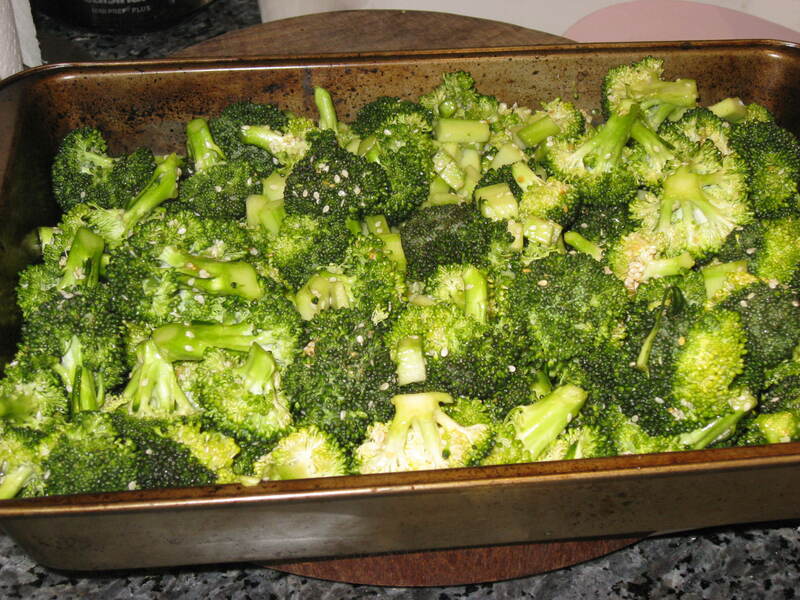 See here for other roasted Broccoli Recipes 🙂 Roasted Garlic & Red Pepper Broccoli, Roasted Broccoli and Simple Roasted Veggies. 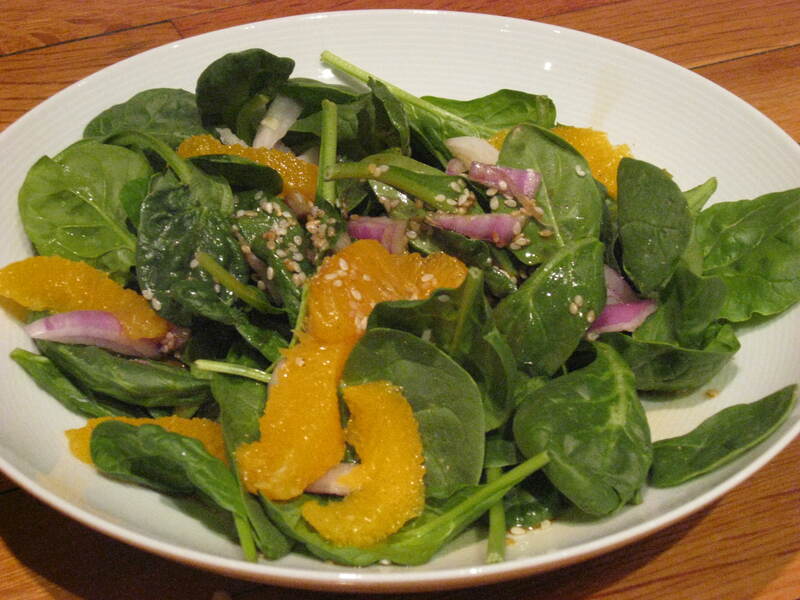 Also check out Garlic Broccoli Rabe or Raw Broccolini with Garlic and Olive Oil. So bright and green!! Before Roasting. After Roasting. Sweet & Crispy goodness. 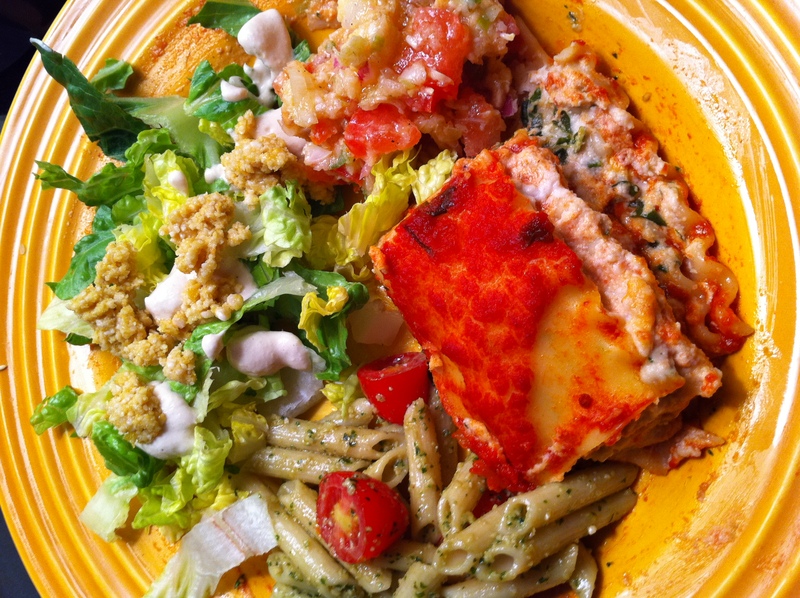 In a baking dish combine all ingredients, mixing well. Bake for 30 minutes, stirring after 20 minutes.